Journalism today is more diverse than ever. The Internet offers scope for publishing in ways that were unimaginable even just a few years ago. But it also opens up entirely new possibilities for research. And at the same time, it presents professional media with challenges regarding how they are financed. Today’s media world is thus more diverse and exciting than ever before. And for those working in the media, it also means that it has rarely been so important to be getting good advice on legal issues. We support journalists, photographers, publishing houses and agencies in all stages of their work: from conducting research to composing texts and producing films, radio broadcasts and podcasts, right through to publication and distribution of the final end-product, whatever the channels involved. This might include pursuing freedom of information requests with the authorities or with businesses, advising on legally sound wording in texts, defending the finalised publication from attacks by affected parties – both in and out of court – and marketing and licensing the finished end-product. As we have been advising and representing well-known publishing houses, bloggers, photo agencies and film production companies for many years, we are thoroughly acquainted with the business and know the interests of those working in the media. Our focus is on offering fast and pragmatic solutions to problems. For us, good advice on media law doesn’t start at the point where the journalistic end-product requires defending against attacks by the parties involved. It is a key emphasis of our media law consultancy to support journalists early on, during the research phase. This is because entitlement to information under legislation governing the press is regularly being further qualified by the courts. For example, the German Federal Administrative Court recently ruled that requests for information directed to Federal authorities can now only be made on the basis of a “minimum standard”. At the same time, the legislature has recently opened up scope for a whole new avenue of research, in the form of the still-young Freedom of Information Act. We responded early, making advice on pursuing FOI requests a key focus in our consultancy work. For example, we managed to assist the SPIEGEL publishing house over its inspection of the Grossburgwedel land register (in relation to a property deal involving ex-Federal President Wulff), in the same way as we assisted a journalist who took court action to assert his demand for information from two Federal ministries on contentious export deals. At the heart of any advisory work on media law is conventional press law and the laws governing freedom of expression. In this regard, it has been observed over several years that parties affected are increasingly opting to defend themselves via the courts against unfavourable reporting. Unlike conventional chambers representing the parties affected, our focus has always been clearly on representing the interests of the publishers. Thus not only do we have extensive experience in representing major publishing houses and news magazines in disputes under press law, but we have also represented various online media and a large number of individual bloggers. In numerous court disputes, we have gathered experience of all the specialised courts in Germany, and we are as familiar with warding off cease-and-desist claims as we are with asserting right-of-reply claims, claims for correction and compensation claims. That being the case, we are also well-placed to advise journalists prior to publication of any coverage. Frequently, just a few words can make all the difference between permitted and non-permitted reporting. For example, the courts have established such complex conditions in relation to reporting suspected circumstances that it is now really only specialists who can give any indication of when such reporting is permitted or forbidden. We help you to avoid risks before they happen, offering legal proofing before the respective text is published. We can also carry out in-house training for media companies on request. Through this kind of training and consistent legal proofing prior to publication, we have been able to significantly reduce the number of notices served under press law for one of our clients. Another client, a film production company, has been given ongoing support during work on a critical report; in spite of announcements to the contrary, none of the companies named in the report later successfully defended themselves against the film. If things nevertheless take a turn for the worse, a very rapid response is called for in most cases. Generally there are only a few days or hours to react to a notice. We don't allow that to unsettle us, and with our thorough experience we manage within the briefest time to initiate the necessary steps for putting proceedings back on an even keel. Data protection law is also increasingly presenting media companies with challenges. Ever since the “Google” ruling by the European Court of Justice of 13 May 2014, it has been apparent that data protection law can also find application in suppressing undesired publications. It is still unclear what the consequences of that ruling will be for other Internet publications. Data protection legislation and its ongoing evolution have been one of our main areas of activity for a number of years. 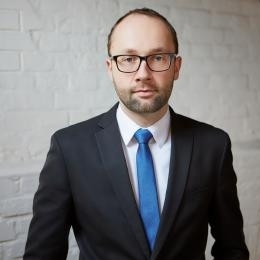 The “right to be forgotten” now adopted by the ECJ cannot be harmonised with the liberal traditions of established press law – the argument on this has already been set out by Ansgar Koreng and Thorsten Feldmann in 2012, in a standard work on the subject. 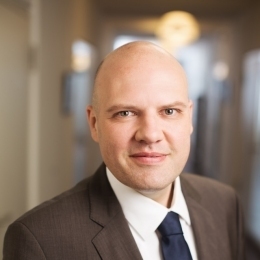 Ansgar Koreng is also the joint editor of the handbook on data protection law shortly to be published by Verlag C.H. Beck. The Internet knows no limits to the number of pages. And because that means there are barely any reasons for withholding source material from the reader, today’s media are increasingly moving to a position of granting their readers access to research material. This frequently causes companies, the authorities and affected individuals to attack unwanted publications using arguments relating to copyright. We are currently engaged in a number of legal cases which turn on precisely these questions: can an affected party prevent publication of sensational source material by referring to his rights under copyright? For the Open Knowledge Foundation, which operates the portal “fragdenstaat.de”, we were recently successful in defending such a claim from the German Federal Ministry of the Interior. Another case, where a politician is seeking to prevent publication of texts which he composed, is currently being contested in the courts on behalf of a newspaper publishing house. We believe that good media law consultancy today needs to relate to the publication process as such and to marketing of the final product. To some extent, the Internet has pulled the financial basis out from under the feet of the traditional publishing business. As yet, no-one has a valid answer to the question of how good journalism can still finance itself independently in the future. We monitor the market very closely and, working with clients, we have already developed the legal framework for various financing models. This includes not only providing readers with general terms and conditions and privacy policies, but also drafting sets of agreements with cooperation partners. We understand the needs of the publishing houses as well as those of the individual journalist. When buying and selling licences to texts and images, the interests of agencies, journalists and publishing houses all need to be balanced. We are familiar with the different perspectives and are on hand to help with drawing up fair and legally secure contracts, whether for a one-off project or as a framework for a lasting partnership collaboration. Our work for various non-profit projects, such as Wikimedia Deutschland e.V., Open Knowledge Foundation e.V., netzpolitik.org and others, means that we have extensive experience when it comes to free licences. It was we who secured some of the very first court decisions concerning the validity of creative commons licences. It goes without saying that the scope of our work also includes intervening against breaches of copyright, with the requisite robustness where necessary. We know that those working in the media frequently also require advice on other areas of the law, for instance on trademark law and competition law, but equally on company law, employment law and tax law. In some of these areas, such as in trademark and competition law, we are able to provide expert advice ourselves; in other areas of the law that are not part of our core business, we will candidly state when we reach the limits of our own capabilities and will recommend suitably qualified colleagues or law firms.